If Europe has conquered one business category Silicon Valley-style, it’s luxury goods. European retail megaliths such as LVMH (Paris), Richemont (Geneva) and Groupe Arnault (Paris) own most of the great fashion houses with the notable exception of Hermès and Prada (which are their own mini-conglomerates). From France, Italy, Germany and Switzerland come the greatest brands in apparel, cosmetics, jewelry, watches and fashion accessories and even expensive tipple such as Hennessey cognac and Moët & Chandon Champagne. For true handmade items, the prices are astronomical. Hermès Birkin bags start at about $10,000. A decent Brioni suit is $6,000. Unless …. The smart expat knows there are two ways around paying buckets of euros for top-end goods: Consignment shops, and factory outlets. Buying goods second-hand doesn’t appeal to everyone. But getting new stuff deeply discounted … who doesn’t love that? What’s odd is, just as conventional retail is suffering and malls are closing worldwide, the fashion outlets are hot. Most of the ultra-luxury companies are owned by a few conglomerates, just a few retail chains, including McArthurGlen Designer Outlets and Chic Outlet Shopping – both based in London – own the majority of outlet centers. And both are planning to invest bigly over the next few years in new fashion outlet centers. So, where are these bargain centers, and what kind of stuff are we talking about? To be sure, even the factory outlets don’t give away top-drawer, handmade apparel, shoes and accessories. Second thing you should know, this is – for better or worse – leftover merchandise, not in-season. If that matters. Because the savvy shopper can find some wicked deals. Italy has the majority of great fashion houses and leather-goods brands, so it’s fitting they have the most outlets. Croatia, you now have it all … beaches, EDM festivals, set-jetting, luxury island retreats and a brand new designer fashion outlet. A pretty large one, at that, at 15,000m2, or about four acres, with 100 brands. And we have to say, an interesting mix of brands. Everything from Canali and Philipp Plein at the top end to Croatian brands including Hippy Garden (which looks really interesting). There are outlets for some of the most popular current brands including Super Dry and Armani Exchange. And by the way, an IKEA is next door. Just in case ….. Overall, this center in Rugvica, Zagreb skews toward mid-range. You can sell the full lineup here. If you have a moment, watch the “Behind the Scenes” video above, which is really interesting in that Designer Outlet Croatia is pretty darn sustainable, built to U.S. Green Building specs. It’s also designed to cover as broad a market group as possible. Which they’ve done. You really get a good idea of how many craftspeople, suppliers, contractors and marketers it takes to pull off what’s a pretty big undertaking. IKEA is a partner in the center and put up about 1 million euros, then turned the management over to Vienna-based firm ROS to manage. One cavaet – the website is only in Croatian, so that’s kind of a negative. By the way, Designer Outlet Croatia just opened in June, and many of the stores still aren’t open, according to Google reviews, which are all over the place. Just in time for the Christmas rush last year, Vienna-based ROS Retail Outlet Shopping opened the first phase of the Designer Outlet Algarve in Loulé, Portugal. Designer Outlet Algarve has about 50 stores open in Phase I, already the biggest outlet in the south of Portugal, according to a news release. Designer Outlet Algarve is part of the giant Algarve Commercial Complex, which owed by – and anchored by – Swedish furnishings giant IKEA. So, you can get a nice suit and a sofa on the same visit … handy for all the British expats living in the Algarve, the heart of Portugal’s main tourism draw. With the exception of Gucci Eyewear, this is a mid-priced center with brands such as Lacoste, Guess, Michael Kors and Tumi luggage and apparel. There’s also a Bimba y Lola, a new Pontevedra, Spain-based brand of women’s fashion apparel famous for wild and colorful prints during a period everyone seems to be wearing black and gray. Mall stalwarts include Douglas perfumes, Timberland and Sunglasses Hut. There’s even a Benetton, which we haven’t seen for years. This is where we usually post TripAdvisor reviews, but the place is only 50-percent open, and most of the comments appear to be paid or random. We got a recommendation for this outlet mall in our own backyard from our friend Natascha in Eindhoven. And we’ve been there several times. Among its 150 stores, Roermond has a nice balance of super-high-end such as Tod’s, Bally, Burberry, Versace and Moncler and mid-range foundational brands such as Tom Tailor, Tommy Hilfiger and Ralph Lauren. Part of the McArthurGlen Group, this mall gets good reviews on TripAdvisor. One warning: It’s crowded. Always.This is year-after-year one of McAurthurGlen’s top performing outlet centers. One of the people working at Le Creuset store told us whether it’s 30 degrees in the summer, or zero in the winter, “this place is always full of people.” Also, it’s under construction, with double the space scheduled to open next year. The Roermond Outlet is a pleasant outlet center and included a good variety of shops from clothes shops to shops selling things for the homes, etc. Easy to find as you approach the city. Parking not expensive for the day. Everyone enjoyed the day and found designer items at good prices, especially for those from the UK. The Mall has some of the most exotics brands and designers including prêt-à-Porter from Bottega Veneta, Alexander McQueen, Balenciaga and Tom Ford – brands you only see on North Michigan Avenue, Fifth Avenue, Champs-Elysees, Rue de la Confédération in Geneva or on Via Condotti in Rome and the Quadrilatero d’Oro in Milan. There are also dependable mainstays such as Valentino, Gucci, Zegna, Coach and Dior. And there’s even a Gucci Café Restaurant on the top floor of the Gucci store. This outlet mall is much better than others, say Fidenza Village for instance. There are top brands (Gucci, Prada, Dior, Fendi) and there are a few good bargains. Be advised that merchandise is very old, that is, a few seasons ago, and prices are accordingly. You can find great Dior shoes for 250-280 euros, which is a steal. Generally, in every store medium to large bags are still expensive (800 euros and beyond) but compared to the original prices (which are shown with mark downs on the ticket) the prices are much lower, sometimes by 70 percent. If you’ve wondered why the big brands just don’t cut out the middle man and open their own outlets, they do. Prada has its own outlet in the Middle of Nowhere, Italy, about an hour southeast of Florence (Firenze), and a second in Hong Kong. According to several fashion blogs, you can buy the Milan based luxury giant’s Prada and Miu Miu actual runway samples at the Italy location. Okay, this is not for everyone because the latest fashions can be pretty impractical for normal wear unless you just got invited to the hang with Bella Hadid and the prices can be stratospheric even with a discount. Prada Space Outlet gets rave reviews on Facebook and TripAdvisor. Of the 656 TA reviews so far, 364, or more than 55 percent, rate it excellent or good. I come to this place for shopping every year, they people there are mostly friendly. Sometimes yeah we are stopped (by security guard mostly) from taking pictures, but I understand that’s their job. • La Vallée Village outside Paris near Disneyland Paris. London-based Chic Outlet Shopping owns Le Vallée Village, along with eight outlet malls across Europe, including in Frankfurt, Munich, London and Barcelona. This is the big one for France, with all the usual suspects including Zegna, Armani, and Hugo Boss. As you’d expect from an English company, English designers are there including Paul Smith, along with Dunhill, Church’s and Jimmy Choo shoes and Burberry. Of course, there are French and Italian brands such as Céline, Gucci, Longchamp, Loewe, Loro Piano (which makes most of the fabrics for the best mens’ suits), Montcler, Versace and Valentino. This place is so wonderful! In here you can find great brands like Gucci, Givenchy, Carolina Herrera, Burberry, etc. for great prices! I am definitely in love with this place! We (inadvertently) left Germany off our list of best fashion outlet centers. Shame on us. 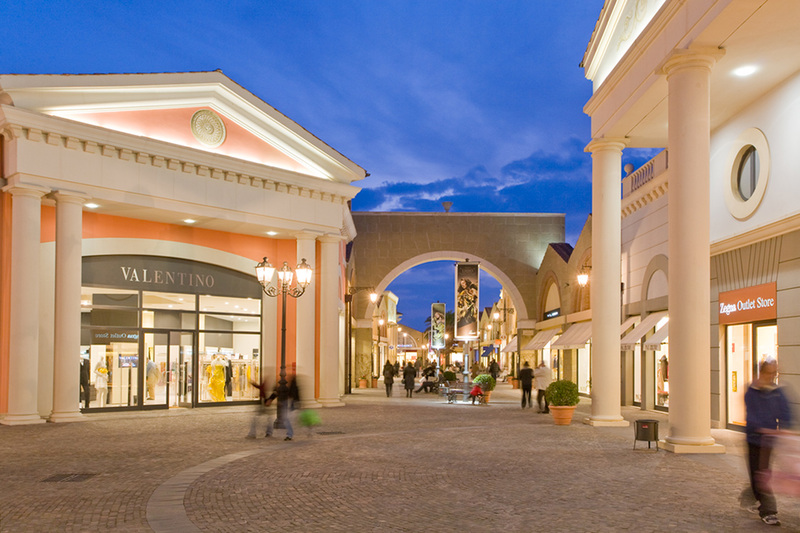 Outletcity Metzingen south of Stuttgart is one of McArthurGlen’s best performing outlet centers. Considering they own Designer Outlet Roermond above and other prime spots, that’s saying something! Fittingly for one of Germany’s wealthiest regions (Ulm and Munich are nearby), Metzingen is the largest and oldest fashion outlet in Germany, and the best if you’re looking for quality (and pricey) apparel. Hugo Boss is the boss here in its headquarters town, with the German clothier’s largest flagship store at Metzingen. But the news for the 2018 holiday shopping season is that Vogue Germany – yes, the magazine – chose Metzingen for its first independent pop-up store, scheduled to be open into April. The small store is a showcase for emerging designers. The Vogue pop-up store also features some new interactive digital tools including smartphone connections to the designers of the clothing on display. Venerable French brand Aigner also has a pop-up. Outletcity Metzingen has about 73 stories give or take a pop-up including high-end stalwarts Bottega Veneta, Bally, Burberry, Moncler, Miu Miu, Prada and Tod’s along with more affordable options such as Superdry, Michael Kors and North Face. There are also German designers such as Jeanne de Kroon’s Zazi Vintage from Berlin on display. McArthurGlen is expanding Metzingen by about 25 percent including 800 parking space in a new underground garage. This oulet is a departure from the typical “faux city” approach far outside a real city. Outletcity Metzingen is a reclaimed industrial site that’s actually part of the city, with ultramodern architecture. I have been in many different countries and seen many different and huge outlets. But Metzingen was totally different. This outlet is a district and you can also find a church in it and also people live here. But , it is an expensive outlet not cheaper than the duty-frees. We are coming every year twice since 6 years. The services of the outlet city is nice. Prices are depend on, but cheaper then in normal shops. If you come for 2 or 3 days you can find treasures. Maasmechelen Village is similar to the nearby Designer Outlet Roermond, though has a different owner (Chic Outlet), different store lineup and different restaurants including a Guilano Italian restaurant as its food anchor rather than a La Place. But it shares many of the same retailers including Armani and two Ralph Laurens. Where it’s different – and worth a visit – is it has upcoming brands such as Golfino and Liu.Jo, Belgian designers such as Sarah Pacini and Stijn Helsen as well esoteric stuff you don’t see every day like Gaastra sailing clothes. And of course, there’s Desigual and all the fast-fashion brands. 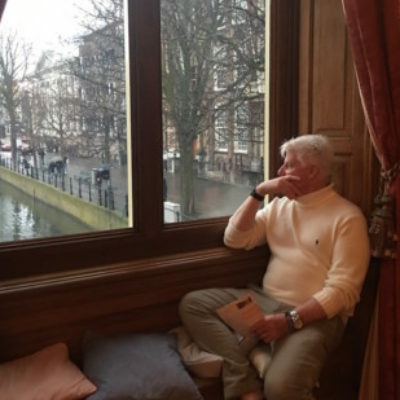 Maasmechelen Village, like Roermond, has a great location close to several large cities including Aachen and Düsseldorf in Germany, Maastricht in the Netherlands and Hasselt and Genk in Belgium. It’s about an hour by car from Brussels. Tom D. three weeks ago: Good prices Was here in July during the extra sales period, they will give extra rebates during this period. Between 20 and 50% up on the already reduced prices. We’re here on Sunday and Monday, my advise: try to avoid the weekends, on Monday it was so much more calm…. if you want to lunch here, we can recommend giuliano for sure! Lily T from Belgium – Outlet shopping experience If you’re crazy about outlets, this is the place to be for you. They call it a village, but it’s actually 1 long street with quite some high end brands such as Michael Kors, Furla, Armani, Liu Jo, etc. Some days they offer even more discounts, and I’m sure you can receive gifts or more discount when you subscribe to their newsletter. It’s quite off the beaten track, but if you’re very brand oriented, this “village” is your paradise.